6 "We Too Sing America"
18 "Education in The Movement"
Ahmad Abuznaid 28-yr-old Legal and Policy Director Dream Defenders. Ahmad Abuznaid is the Director of the National Network for Arab American Communities, an institution of the Arab American Community Center for Economic and Social Services (ACCESS). He is the son of Palestinian "peace negotiator" Nabil Abuznaid, a "close friend" and advisor to Yasser Arafat of the Palestine Liberation Organization. "Movement lawyer, organizer, advocate. That is how Ahmad Abuznaid describes himself. Whether he is helping organize a historic 31 day sit-in in the Governor of Florida’s Office, presenting before the United Nations Human Rights Committee in Geneva, working as Legal and Policy Director for Dream Defenders, or leading a delegation of Black Lives Matter activists to Palestine, Abuznaid, who has been a lawyer for five years, is all about justice. "In college Abuznaid started organizing. In 2006, while he was attending Florida State University, 14 year old Martin Lee Anderson was murdered in a state-run boot camp youth detention facility in Panama City Florida. Though law enforcement said Anderson died of sickle cell anemia, surveillance tapes came to light showing he collapsed during mandatory exercise and five officers kneed the dying youth and hit him trying to force him to continue to run. "After college, he worked as the Florida field director for the United States Student Association. Abuznaid, Selah and Pendas stayed friends after they graduated. "One of the highlights of law school was his work in the immigration clinic where he help Iraqi refugees and others seeking to be accepted into the US. Another was the opportunity he received to serve 300 hours of pro bono work in an internship with the International Criminal Court in the Netherlands. While some law school faculty members were really helpful and were invested in his future, he could tell he was going down a different path from many of his classmates. While he saw the legal system as inherently flawed, it was clear to him that others in his class really wanted to uphold the system as is. Ahmad Abuznaid with Luis Moreno Ocampo. In March 2015, Ahmad Abuznaid tweeted about events for "Israeli Apartheid Week" being held in Ottawa Canada. Deepa Iyer, Activist & Author of "We Too Sing America" profiled activists such as Drost Kokoye in Nashville. Ahmad Abuznaid in Miami. Faiza Ali in New York City. Mustafa Abdullah in St. Louis. Rahul Dubey in Milwaukee, Yves Gomes in Maryland. These are some of the young South Asian, Muslim, Arab and Sikh activists profiled in We Too Sing America. Nancirulia La Cuata June 10, 2015 TakeOver Florida 2013 — with David Reynard, Kat Engleman, Jonel Edwards, Mag Siddiqui, Shammgod Carr, Jarrel Strong, Rae Rae Richardson, Sadity Mya, Jabari Mickles, Mahal Lee Bryant, Donnell Regusters, Ruth Thomas and Ahmad Abuznaid. "Agnew was the student body vice president at Florida A&M University when 14-year-old Martin Lee Anderson was beaten to death at a Florida boot camp in 2006. At the time, Agnew was more interested in parties than protests. But when he realized that Martin Lee Anderson was the same age as his own little brother, Agnew joined student-led efforts to demonstrate at the Capitol. "That's when he got to know Gabriel Pendas and Ahmad Abuznaid, like-minded student leaders at Florida State University. "The three helped organize a 33-hour sit-in of then Gov. Jeb Bush's office. The demonstration received national coverage, and helped prompt the closing of the boot camp and the resignation of the state's top law enforcement official. "It was a formative experience for the three young men. Pendas, who grew up in Miami, abandoned his plans to become a physicist and pursued a career in community organizing. "Agnew, the son of a Chicago preacher, said he, too, found his calling. "The three friends "became brothers that night," Pendas said. "After college, however, they lost touch. Pendas moved to New York to work as a community organizer in the Bronx. Abuznaid graduated from law school and was living with his father in Amsterdam. "Agnew was working a pharmaceutical sales rep in Charlotte. Ruth Thomas August 8, 2015, with Ahmad Abuznaid and Scott A. Roberts. Dream Defenders' Legal and Policy Director Ahmad Abuznaid's girlfriend, is Dream Defenders' Political Director Ciara Taylor. Purvi Shah - Chandra Shekhara Bhatnagar and Ahmad N Abuznaid please spread the word in your networks about the petition. Abuznaid has returned to Palestine many times. In 2015 he co-organized a trip to Palestine for black journalists, artists, organizers from Ferguson Missouri, Black Lives Matter, Hands Up United, Justice League NYC, and Black Youth Project 100 in order to connect and build relationships between people on the ground leading fights for liberation. “In the spirit of Malcolm X, Angela Davis, Stokely Carmichael and many others, we thought the connections between the African American leadership of the movement in the US and those on the ground in Palestine needed to be reestablished and fortified.” He also organized another trip to Palestine in 2016 which connected Black Lives Matter activists, Puente Arizona, PICO National Network and others with grassroots organizations and Palestinian civil rights activists in Ramallah, Jerusalem and Haifa to explore their parallel fights. Keynote Speaker: Ahmad Abuznaid, Co-founder and the Legal & Policy Director of the Dream Defenders. Update on Rasmea Odeh’s case by Michael Deutsch, lead attorney. 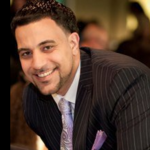 Signatories included Ahmad Abuznaid - Legal/Policy Director, Dream Defenders – Miami, FL. Florida State Senator Dwight Bullard visited Palestine in May 2016, under the aegis of a Miami-based civil rights group, Dream Defenders. His delegation met with a founder of the anti-Israel BDS movement and were led by a tour guide identified with the Popular Front for the Liberation of Palestine, a State Department-designated terrorist group. On June 3 2016, Bullard spoke at an event that explicitly linked the Black Lives Matter movement to the Palestinian cause titled “Struggles for Liberation: Injustice from Ferguson to Palestine.” Sabeel, a Christian group that endorses BDS, sponsored the event. Bullard told JTA that he joined the Dream Defenders trip seeking facts, and was ready to engage with Jewish and pro-Israel groups as part of his constituency outreach, as well as travel to Israel with a pro-Israel group. “The reality is a person born of Palestinian heritage in Nazareth does not have the same rights as someone born of Jewish heritage,” he said. 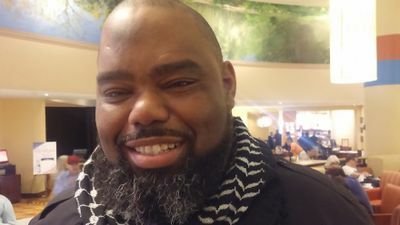 Dwight Bullard was one of 14 Latinx and Black activists, artists, ministers, students and educators who in May traveled throughout the West Bank to build connections with Palestinian organizers and see the effects of Israeli land control. The trip was the second in two years organized by the Dream Defenders and participants came from Black Lives Matter Toronto, BYP 100, Puente Arizona, [PICO National Network] and other groups focused on racial justice. The trip, which took place from May 10th to 20th, dovetailed with the 68th commemoration of the Nakba, the displacement of roughly 75 percent of Palestinians during Israel’s founding in May 1948. In the West Bank the group met with artists, youth organizers and refugees living under military occupation and Israeli settlement. In East Jerusalem, they heard from the African Palestinian community and families facing eviction. Within Israel, they met with Palestinian civil rights activists and marched with Bedouin Palestinians in the Naqab Desert facing the demolition of their villages. Friday, June 3 Coral Gables Congregational United Church of Christ, Coral Gables, Florida. The nationally known Dream Defenders will also talk on the intersectionality of the Palestinian freedom movement and the movement here at home for African-American justice. Those invited, on Facebook included Ahmad Abuznaid. Those invited, on Facebook included Ahmad Abuznaid . Ahmad Abuznaid was in Cuba in 2017. Ahmad Abuznaid and Yvesner Zamar. This page was last modified on 3 February 2019, at 04:44.